Hello Everyone! The end of our January play is coming to an end. 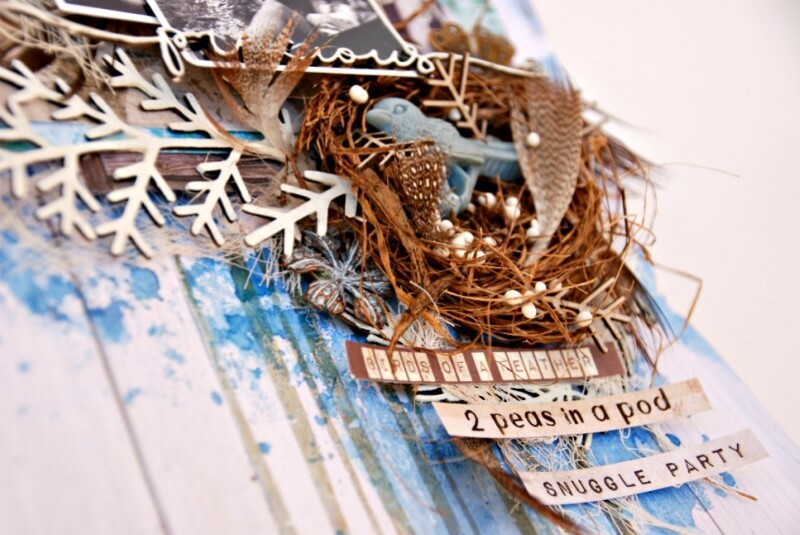 We still want to inspire you even if you have shared your project with us already, maybe you can make another one ;)Here is a beautiful project from our next Guest Designer this month! 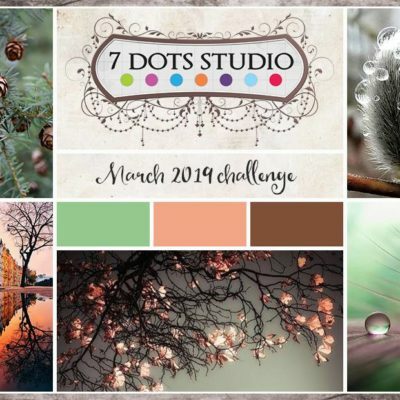 Create your own unique project and share it with us! 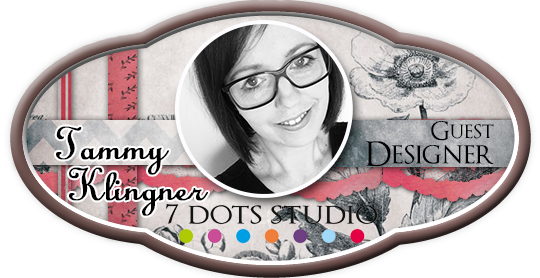 G’day, my name is Tammy Klingner and I live in the beautiful Clare Valley in Australia with my two amazing teenage children. 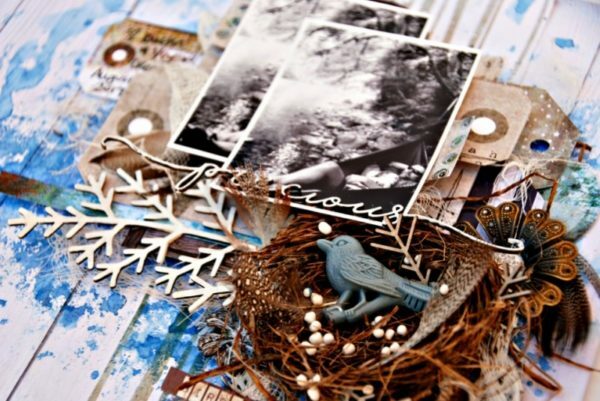 I have been scrapbooking in one form or other for 14 years! I can’t imagine not having the creative outlet. It’s my peace, my joy and my sanity. I absolutely adore colour and you will find vibrant colour on most of my layouts. 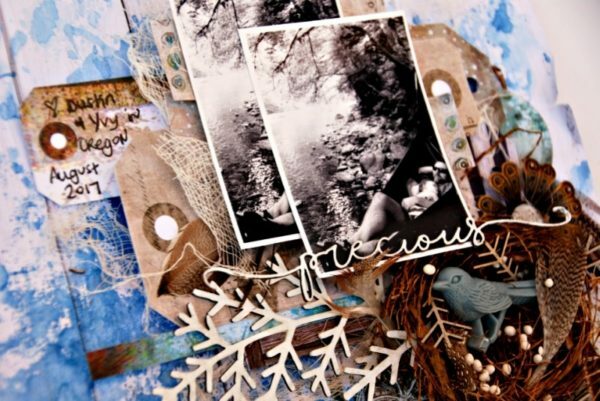 I also love to use paint and all things mixed media!. 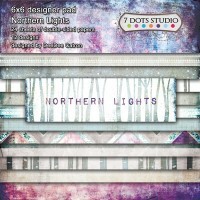 I absolutely love 7 Dots Studio products and am so thrilled to be guest designing here. Thank you! 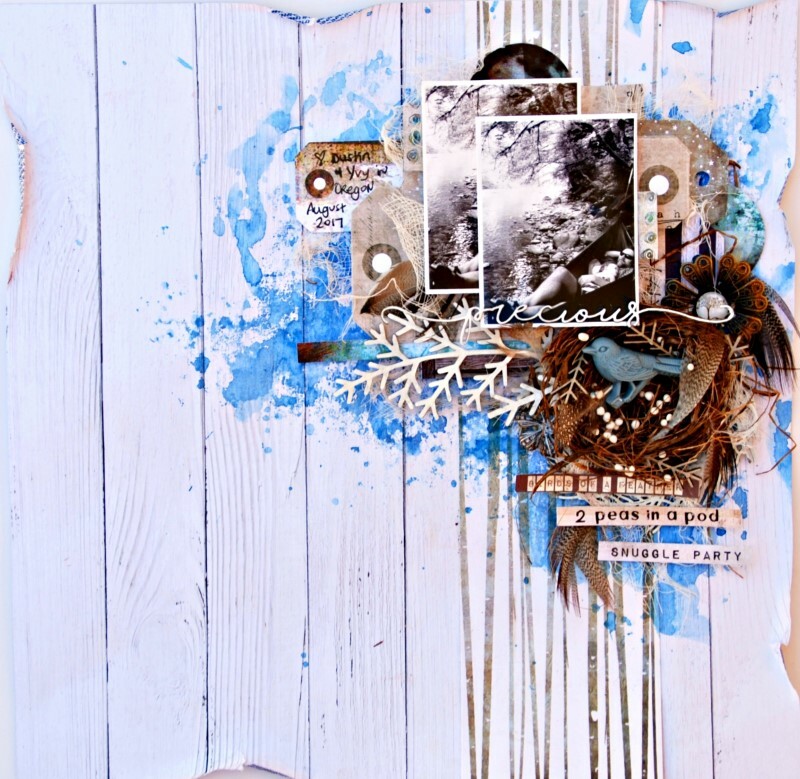 I had so much fun creating this layout of my niece and brother in law in the USA. This photo of them reminded me of a nest, which was totally inspired by the nature and bird images in the moodboard. 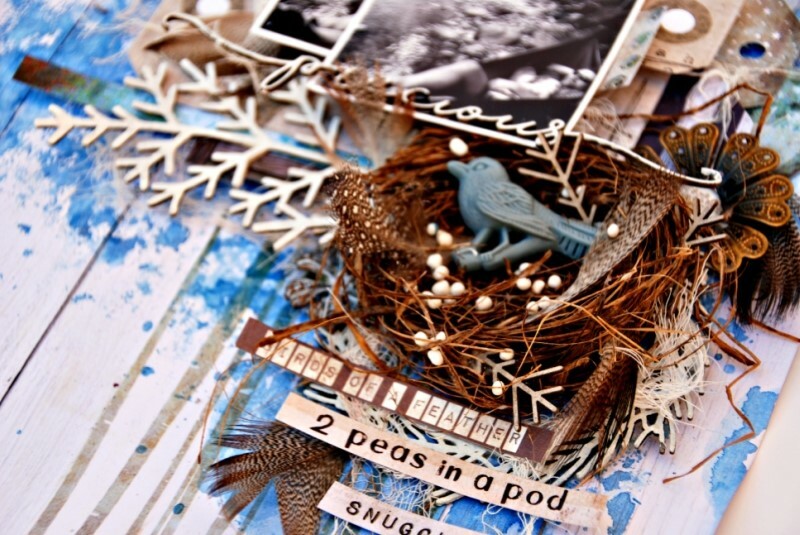 So I actually added a mini nest to my layout and had fun adding feathers, metals, chipboard etc to go with the theme. I found the Northern Lights paper was perfect and I added a few word stickers as they just suited the theme so well. 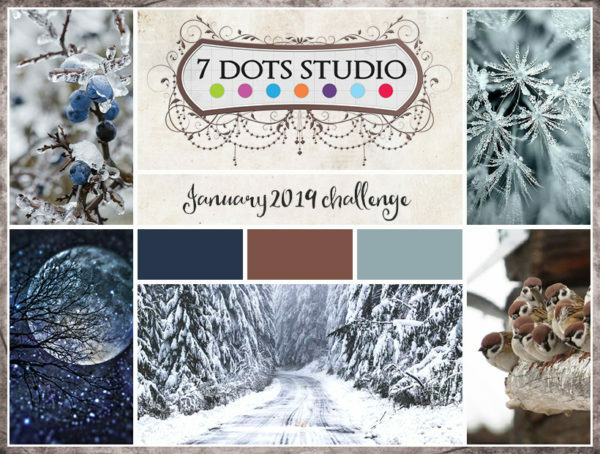 As always I added lots of tags from a variety of 7 Dots collections. I love that all of the ranges complement each other. 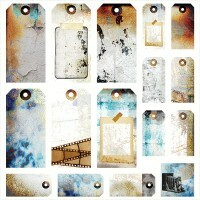 I think everything I create has at least two 7Dots tags. They are my favourite! 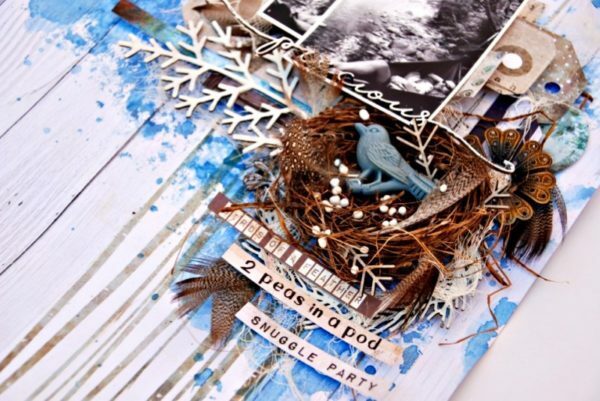 I also used the colours in the moodboard as inspiration, adding blue watercolour as my background. I’m really happy with my creation, and even happier that another precious moment has been captured forever. Thank you for having me here and I hope it has inspired you! Great work Tammy. Captivating layout. You can find more of her works on her blog!